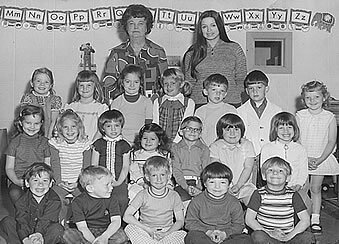 The Caring Center was founded by Thelma Peters, a third-grade teacher from Verona; and Diane Peters, then a senior education major at the University of Wisconsin. The original facility was a rented classroom in the St. Andrew’s educational building. The program later moved to a small house. In 1984, we opened at our present location. Labor Day of that year brought further expansion as a new classroom opened to meet the needs of our parents. During this next year, the second floor was added to the main building to provide additional space. In 1986, The Caring Center began a separate school-age program for children from first through fifth grade. As this program experienced continued growth, 1987 brought the construction of a completely new child care center behind the original structure. This provided space for the part-day pre-K program and the school-age program. The adjacent round building was remodeled in 1989 and offered part-day programs for 2-year-olds. 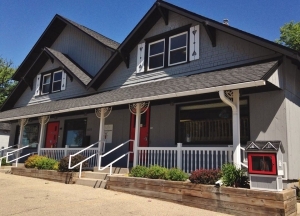 Also in 1989, the upstairs of the back building was completed and now offers a game room for school-age children, and a quiet room for reading, homework or just enjoying some peaceful time through after school enrichment programs. In fall 1992, we celebrated our 20th anniversary of serving Verona-area families. In spring 1994, Regina, a member of the staff since 1987, was named administrator. Diane Peters has continued her association with The Caring Center as the company president. In summer 1995, we were pleased to announce the opening of a full-day child care program for 2-year-olds. Although we ended our part-day-only program for 2-year-olds, we were again responding to the changing needs of the community. In fall 2007, The Caring Center introduced Verona to Montessori school programming with the addition of Verona Montessori House. This program, which features Montessori school classes for a mixed group of 3- to 6-year-olds, meets in the upstairs of our main child care center. Montessori school programming offers a wonderful approach to education, and we are proud to offer this option to our families in addition to our traditional programs. Montessori school classes are available mornings or may be extended to full days. In spring 2011, The Caring Center program for school-age children underwent major renovations to create a premier space for our oldest children. New features such as an iMac and iPad computer lab and art center were added, and we introduced the name C.C.’s Clubhouse. In fall 2012, we celebrated a major milestone – our 40th anniversary! Appropriately enough, 2012 was also the year we opened our doors to an exciting collaborative pre-K program in partnership with the Verona Area School District. We were an active participant with our school district through the entire planning process for the pre-K program and we are pleased to be a part of this pre-K program that has given many more children an opportunity to attend quality preschool programs. In summer 2015, the child care classroom for 2- and 3-year-olds was completely remodeled to open up the space. Among the updates were the removal of a dividing wall, new flooring and all new lighting to create a brighter and more welcoming space for our youngest learners. We were also able to expand our parking lot with additional spaces adjacent to our round building. I wanted to take a moment and sincerely thank everyone at The Caring Center. The transition for A has been going so great. Everyone we meet is so kind and I truly believe our child development styles align perfectly and help A feel safe and loved. I am so pleased to be a part of your community. Thank you again for all you do!